Home Courses Running Repairs – New course dates for Birmingham and St. Albans! Running Repairs – New course dates for Birmingham and St. Albans! Running Repairs was a big hit in 2018, we sold out every course! 2019 is shaping up to be the same with both our Leeds and London courses filling quickly and developing a waiting list of interested clinicians. Don’t worry if you’ve missed out we have some good news!…We still have a few places left on our courses in Birmingham and St. Albans. If you’d like to attend I do recommended booking quickly as they tend to fill up fast! May 18th & 19th – St. Albans fitness and wellbeing gym. Book here through Eventbrite. For more on Running Repairs and its content please see our dedicated course page or email tom@running-physio.com. Enrolment for Running Repairs Online is currently closed following a very successful registration period. Click on the image below to join our waiting list and access it as soon as it’s available again. Both the face-to-face and online courses covers all key areas in running rehab including gait analysis, strength and conditioning, training error, load management and optimising your assessment and treatment for each individual. Common pathologies are discussed in detail including tendinopathy, patellofemoral pain, bone stress injury and plantar fasciopathy. We champion a biopsychosocial approach and highlight the importance of this throughout. Module 11 – Pain to Performance: A step by step guide to low back pain in runners. 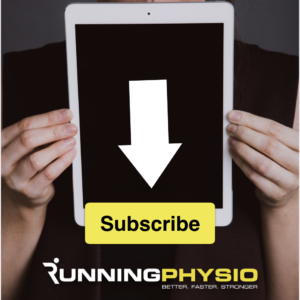 You’ll also get full access to our Track Pack, a great collection of clinic resources to assist with gait analysis, exercise prescription and athlete assessment. As we mentioned above enrolment is not currently open for Running Repairs Online but you can join our waiting list via the image above. Previous articleGrab a sneak preview of what’s in Running Repairs Online! Grab a sneak preview of what’s in Running Repairs Online! Big news for anyone treating runners! Return to Running Post-Pregnancy, free guide for clinicians. This site is not intended to replace medical assessment / information. With any injury if in doubt get it checked out. © 2019 RunningPhysio. All Rights Reserved.